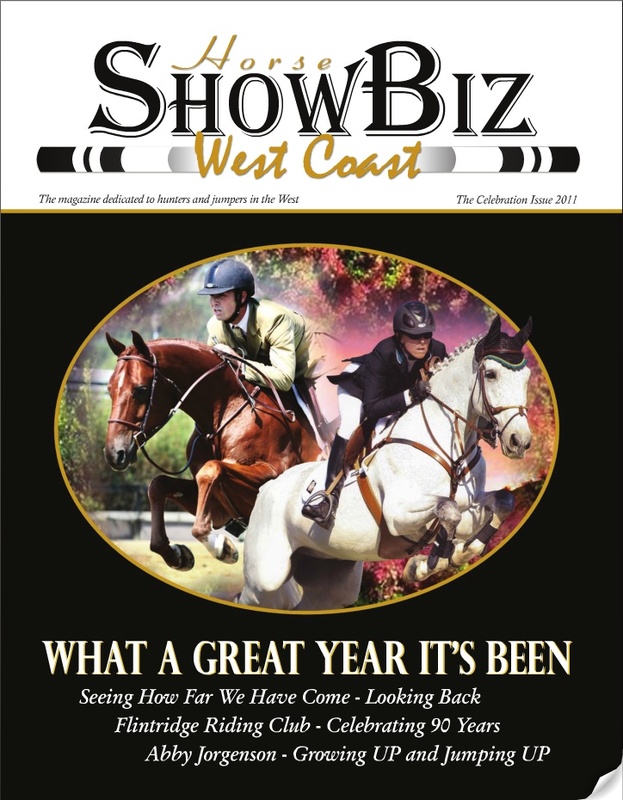 Congrats to Michelle and Socrates de Midos for their appearance on the cover of the 2011 Celebration issue of Horse ShowBiz Magazine! Not only did they adorn the cover, there was an accompanying 4 page feature story with lots of pictures starting on page 68 of the magazine. You can access the entire issue below. When it opens up you can type 68 inside the nice little white window at the top and it will take you directly to the article. Now the new year is well underway and Cross Creek West is in the throes of last-minute packing, preparing for the HITS Circuit in Thermal starting this week. A string of talented up and coming horses are going to test their mettle in the desert; Socrates de Midos, Reina, Xel Ha, Clintord, Solomon’s Pride, Tocayo, Sir Jones and Cupilor all taking their turn in the jumper rings. Also congratulations to the proud new owners of Lassila de Moyon and Cameo, both now settled in to their new home in Florida. Best of luck with these quality horses. Contrats to Michelle Parker on ANOTHER win aboard her Socrates de Midos, Cross Creek Farms’ handsome gray gelding who just keeps bringing home the Grand Prix prize money to pay for his oats. 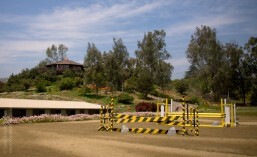 This time the venue was the $25,000 Red White and Blue Festival at the Mission Viejo Riding Park in San Juan Capistrano. Nineteen horses competed, with only Socrates and Chello Z (Josephina Nor-Lantzman) going clean in the first round. Socrates went first in the jump off, starting out conservatively but really opening up his big stride at the end to win by .28 of a second. Michelle also brought home an 8th place ribbon aboard her second ride, Clever. Other recent placings for Socrates include a strong 3rd place finish in the $35,000 Blenheim Spring Classic III Grand Prix and an 8th place finish last weekend in the $30,000 Copa de Amistad Grand Prix also at the Mission Viejo Park. 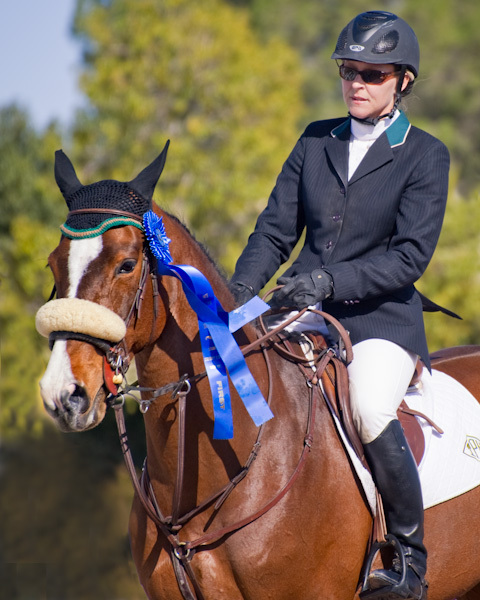 Reina, Tula Pinella’s Holsteiner mare, had a great weekend in Tucson during the 2010 HITS Arizona Desert Circuit. 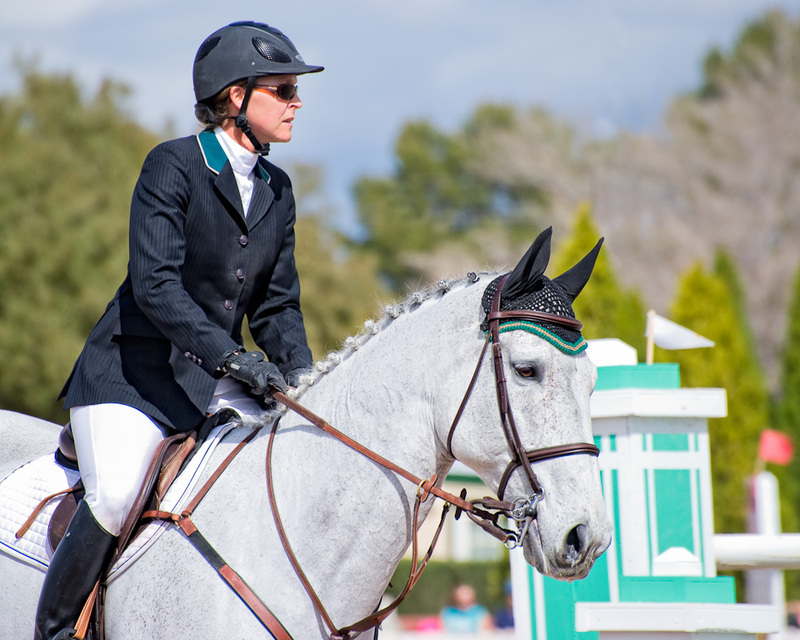 In only the second Grand Prix of her career, she jumped to the win in the $25,000 Strongid C 2X Grand Prix, laying down a double-clean round that stood up to challenges by Brandie Holloway on Alley Oop and Bjorn Ikast on Omar Shariff. Both followed Reina in the jump-off but dropped rails trying to best her time. The Grand Prix wasn’t Reina’s only win – on Friday she topped the $5,000 Open Welcome Class for a double-header, and the previous weekend in her first ever Grand Prix she placed fourth with a another double-clean performance. Cross Creek West traveled to Tucson to compete during the final three weeks of the six-week long HITS circuit. Disappointingly, a deluge of rain caused the cancellation of the first Grand Prix, although Michelle aboard Socrates de Midos did enjoy winning the Friday $5,000 Welcome class. However the final two weeks of the circuit were highlighted by a multitude of clean rounds and high placings. 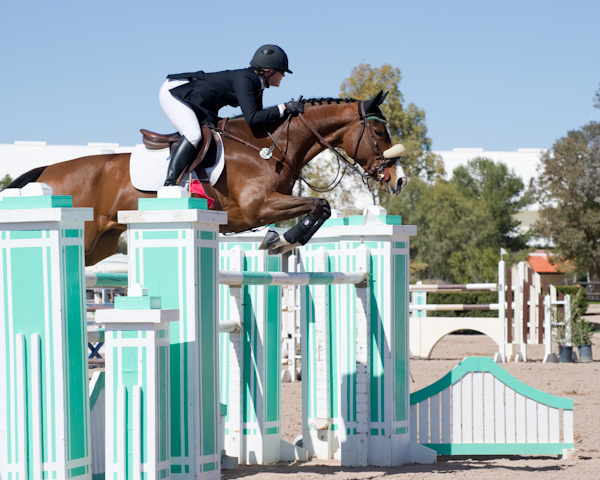 During the Arizona Winter Festival Michelle rode Reina, Clever and Socrates de Midos all to clean rounds in the Grand Prix, ultimately placing 3rd, 4th and 5th. During the Arizona Desert Finals she placed 1st and 2nd in the $5,000 Welcome, and again garnered multiple prizes in the Grand Prix. In addition to Reina’s blue, Michelle took home two more ribbons aboard Clever (5th) and Socrates (9th). Cross Creek West has moved on to Houston for the Pin Oaks Charity Horse Shows. Good luck in the Lone Star State! Posted in Clever, Horses, Reina, Socrates de Midos. Prize lists for the upcoming HITS winter shows are ready for publication, and look who’s on the cover for the 2010 Arizona Winter Circuit prize book! Photo Credit: The 2010 HITS Desert Circuit, 2010 HITS Ocala Winter Circuit, and 2010 HITS Arizona Winter Circuit prize lists. Photo courtesy of client. 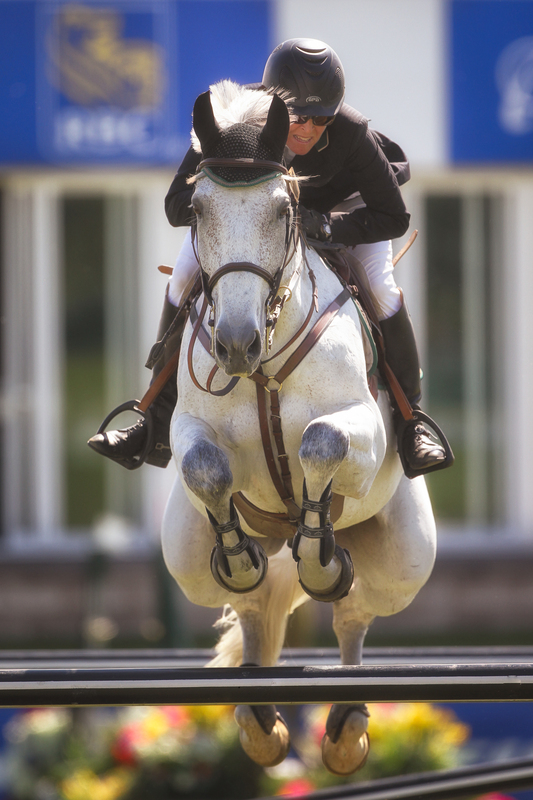 Going forward our handsome gray jumper Socrates, owned by Cross Creek Farms, will be known by his official FEI passport name Socrates de Midos. Under either name he continues to add to his winning grand prix record – since his debut in the Grand Prix ring this past March he has garnered two 1sts, two 2nds, two 4ths and several other placings – all at Grand Prix level. Consistent and level-headed, this scopey horse has proven to be a real contender.